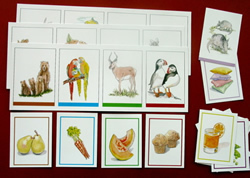 Ten full-color, laminated illustrations of meadow animals in action; each illustration is labeled in black type with the name of the animal. 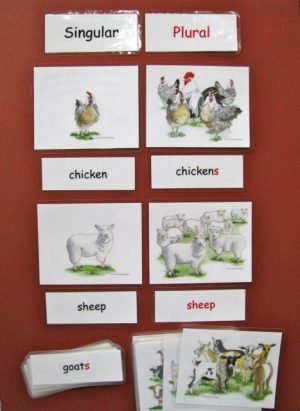 Plus, 20 verb cards in red type to sort into present and past tense categories. 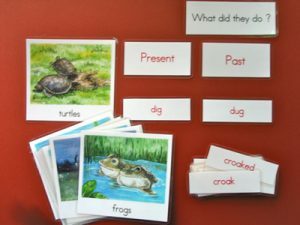 Regular and irregular past tense included. The question card “What did they do?” is included to facilitate the student’s understanding of past tense.